The New Moon is tomorrow and it coincides with a solar eclipse. Eclipses are times of transition, and new moons are times of beginning. Coming together, the new moon in pisces and the solar eclipse signal a potent time for change and inviting in what comes with that change. 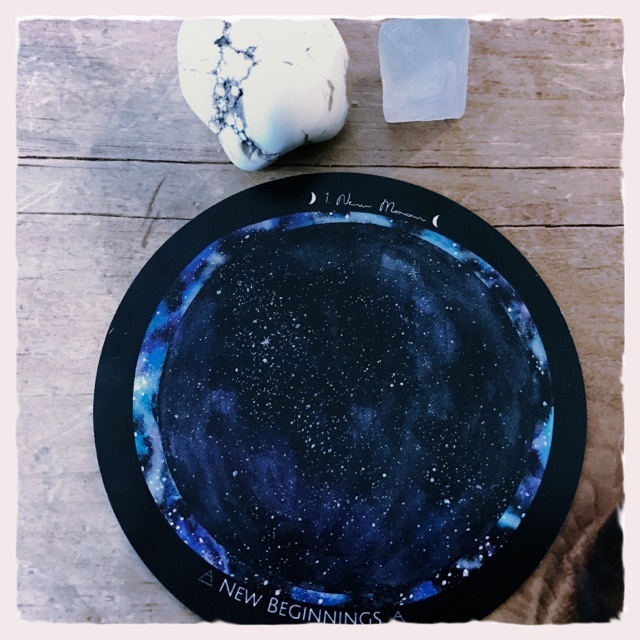 I generally do a ritual on new moon days that includes writing down, blogging about, sharing on Instagram or talking about what I hope to manifest in the coming month. Sometimes I look further into the future and really get clear about what I want in the coming year or years. It is important to speak or write your words down to give them the fullest power and possibility of coming to fruition. If possible, share your hopes/dreams/goals with someone else who can hold you to account on these visions. Speak about them in the present tense, “I am” rather than “I will be.” Imagine yourself doing these things with crystal clarity and specificity. Where are you? What time of day is it? What is working? How do you feel? What do you see? An excellent choice for essential oils to diffuse in your home on the new moon is Cypress. Cypress has a grounding, yet stimulating effect on the emotions. Grounding essential oils can aid in the unsettling that sometimes occurs on moon days. Diffuse Cypress to reduce anxious feelings. It is a perfect oil for times of transition. Use cypress in your diffuser with another oil such as Lavender or Lime and use it to cleanse your energetic space in the same way you might use a smudge stick. Remember to open windows for a few minutes to allow the stale/old/stuck energy to leave. note: for children and pregnant/nursing women please consult a doctor before you use Cypress and it is not an oil to be taken internally ever. Crystals that are particularly beneficial on new moon days are Buffalo turquoise, pyrite and citrine. All invite in manifestation and making things happen. Gather up these and place them out in the new moon to be recharged with manifestation energy. Set with them a bowl of water so it can soak up the new moon energy as well. Use this water later in tinctures and sprays in your rituals or yoga/meditation practices. Yoga poses that are grounding and Earthy are a perfect compliment to these tools. Try Tadasana, Tree pose and Chandra Namaskar or Moon Salutations on new moon days. New moon blessings to you. May all you manifest come to fruition.